BlackBerry Passport to cost $599 off contract | BlackBerry Blast! BlackBerry has some serious catching up to do. The world is drooling over the new iPhone 6 and 6 Plus. In an effort to bring users over to BlackBerry, the company's CEO says their new Passport phone will sell for $599 off contract. That puts BlackBerry just under the iPhone 6 off contract price. 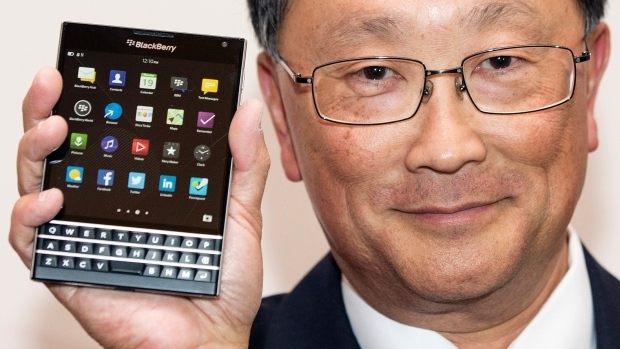 In an interview Monday, Blackberry CEO John Chen said the Passport smartphone will be priced differently in some other countries, but the price for the US is $599. Mr. Chen also said the Passport should cost $700, "But I figure that to try to get the market interested, we're going to start a little lower than that." Is a $50 savings over the iPhone enough to get people interested in the Passport? That's a tough sell if you ask me.